The Wall Street Journal yesterday reported that many car makes are seeing increased demand and that production can’t keep up, meaning fewer models are on dealer lots and higher prices are being paid by consumers. The story says popular models such as the Toyota Corolla, Ford Fusion, Honda Accord, Subaru Forester and Chevrolet Impala are hard to come by and selling for higher prices than usual. That’s kind of hard to swallow, isn’t it? 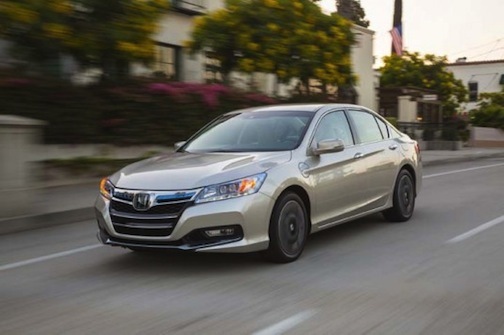 Suspicious that Accords would be flying off dealer lots faster than they can be built, I did a regional test and drove by a few dealers in my area. Apparently, my city is not affected by the WSJ‘s perception of production problems. Lines of Accords, Corollas, Fusions, Foresters and Impalas filled the lots of each dealer I checked out. It got me wondering if automakers might publicize higher demand than reality in order to create a sense of urgency in buyers or as a way to justify higher prices. There’s no doubt the auto market is recovering, as August sales alone are expected to hit 1.4 million vehicles, but I just don’t buy into the fact that so many vehicles are in shortage. If it’s true, expect used prices to rise, too, as buyers turn to the used market in place of buying new. Have you noticed a shortage on any new vehicles in your area? This entry was posted in Car Industry News, Car Minded, Car Shopping, General Chat, United States and tagged auto sales, car sales, Ford, Ford Fusion, Ford sales, honda, manufacturing, new car demand, new car shortage, sales, subaru, Toyota, vehicle sales. Bookmark the permalink. Remember at this time of year the manufacturers are changing inventory over to the next model year, so it’s no surprise that some new model year cars might be a little hard to find. For example, the Impala is just starting production so likely they aren’t even at full capacity yet. Not that I recommend buying an Impala though– Anyone who has suffered through one of GM’s new models will tell you that you should NEVER buy a GM in the first year of production. (and some in the second year either.) GM has a solidly earned reputation for low qualty model introductions.